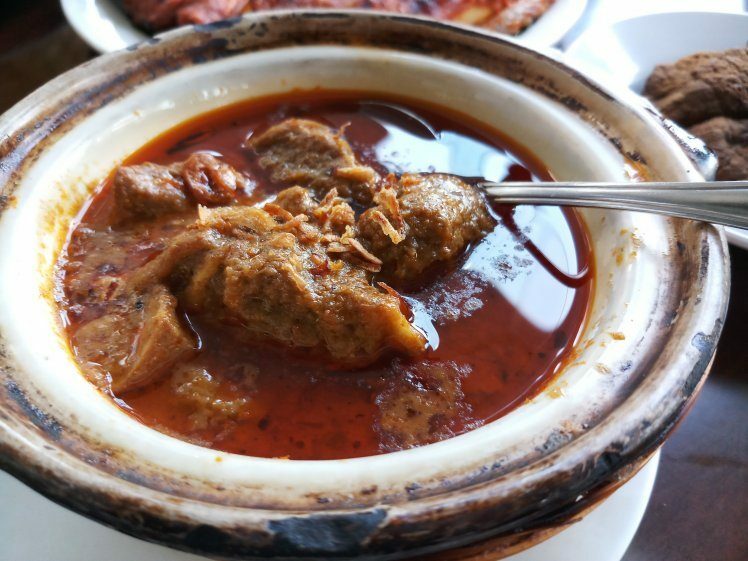 Originating from the Minangkabau people (Minang in Indonesia) of West Sumatra, the Padang-style serving of food hails from West Sumatra’s capital city. It is commonly served as an array of dishes akin to a small banquet, with a plate of white rice for each individual. Collectively named Nasi Padang (Padang Rice), it is a popular dish across Southeast Asia, with strong influences found in Malaysia’s Malay cuisine. Traditionally, Nasi Padang restaurants are identified through their distinctive Minangkabau architecture, the Rumah Gadang. 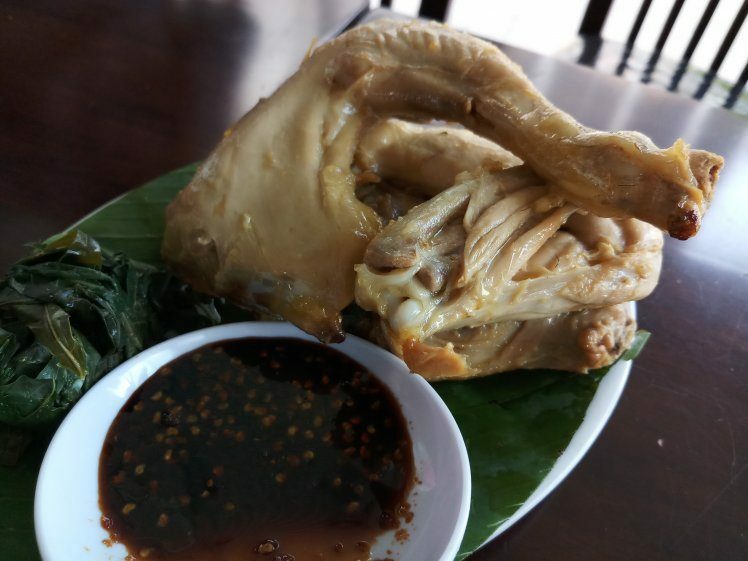 With roof structures resembling buffalo horns pointing upwards and a wooden structure immediately identifiable as typical Indonesian design, there is often easy distinction of real Nasi Padang availability, and which are simply variants of the original. In Malaysia, since architectural settings for a restaurant are often prebuilt, the Nasi Padang restaurants bear a decal of the Rumah Gadang, and profess to be as close to their original counterparts as possible. 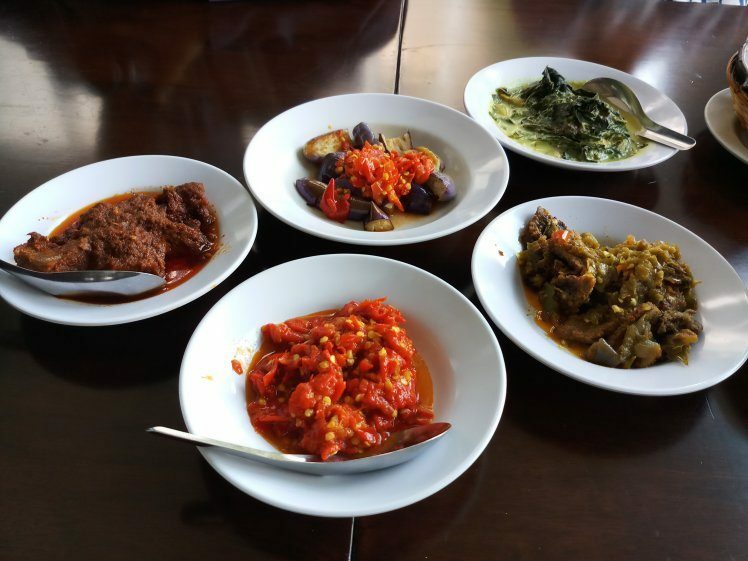 The food is a strong identifier, but hardly varies due to the Malay people’s heritage long-intertwined with the culture and Muslim religion of Indonesia. Perhaps the biggest difference of Nasi Padang in Indonesia and Nasi Padang in Malaysia is how the food is ordered. In Indonesia, the Nasi Padang is served as hidang (to serve) and customers need not order. The many dishes and sides are pre-selected and set directly on the table. 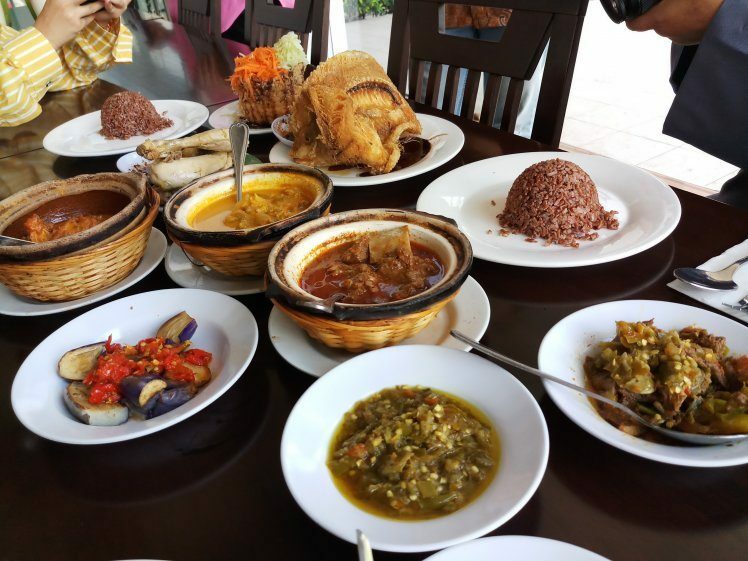 In Malaysia, the serving is a little different as customers can pick and choose which of the main dishes they want to make up the spread. The fanciful feast of Nasi Padang is highlighted with medium-sized servings of gulai — meat stewed in coconut milk, chili pepper, spices and oil until it forms a curry of sorts. 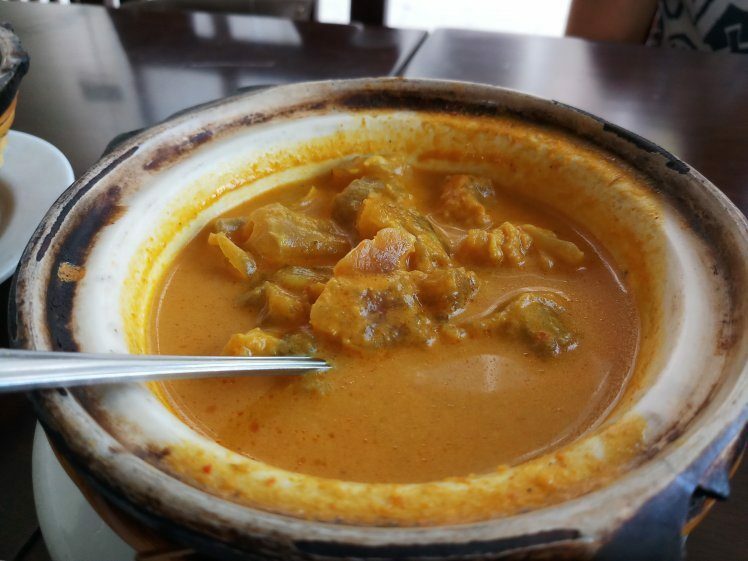 Accompanying the gulai are side dishes of stewed greens, lightly fried eggplant, rendang of chicken, mutton, and beef varieties, grilled or fried fish, crispy deep-fried beef lung or tripe, and spicy sambal sauce. All together, this assortment of dishes could total up to 14 different plates! Nasi Padang is not a solitary man’s meal, even if he had the appetite and ability to eat all those dishes alone. This feast is meant to be enjoyed with family and friends, to encourage bonding and full stomachs. Like with plenty other Southeast Asian cuisines, many encourage more than just good eating such as Chinese dinners and Malay cookouts, while offering colourful, wholesome, and plentiful collections as stunning as an Indian thali plate. 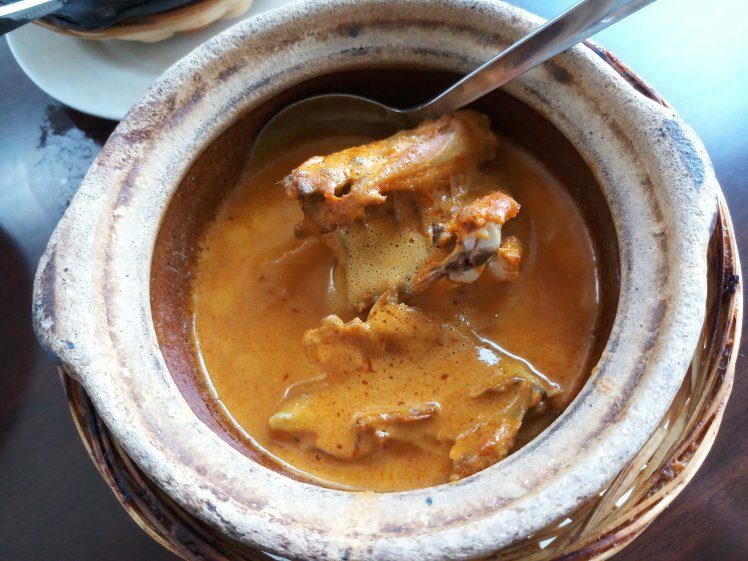 Recently, a Nasi Padang restaurant in Subang Jaya has ventured into presenting healthier options to their menu. 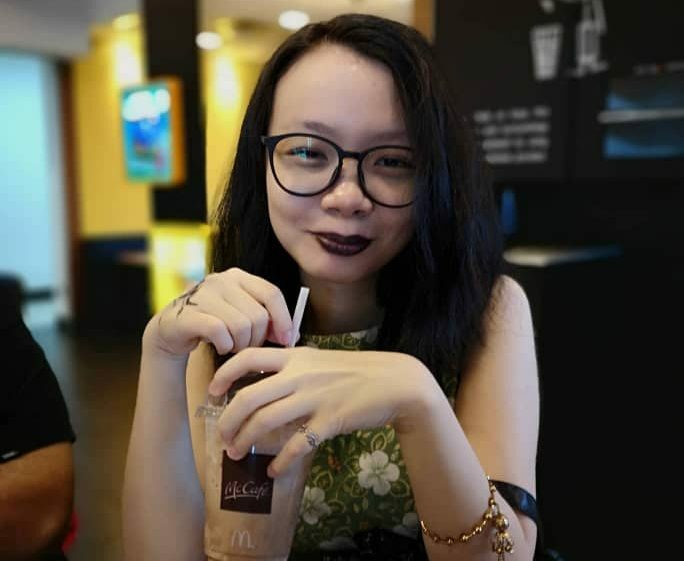 This follows a recent spike in the demand for health food in greater Kuala Lumpur, where patrons are opting for less oily, less coconut-milk laden foods that are a root of high cholesterol issues. 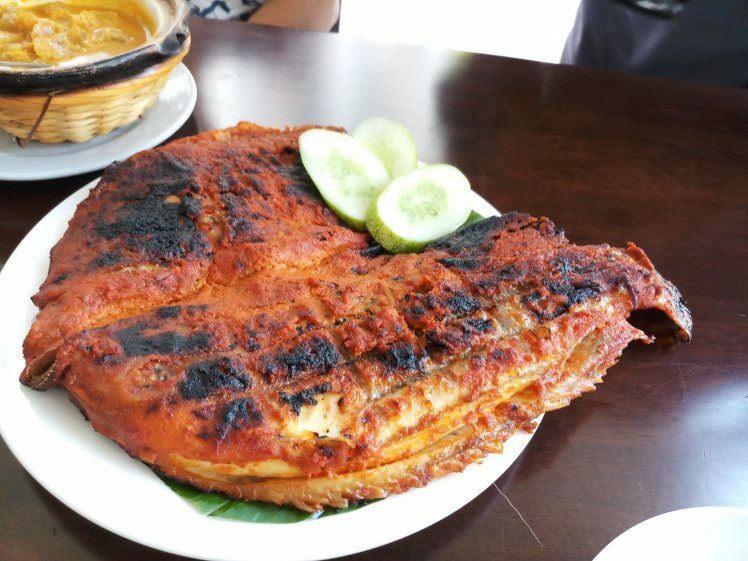 The Grand Sari Ratu Prima (Subang Jaya branch) has expanded their menu to include brown rice for diners opting to replace white rice, grilled tilapia fish instead of the usual deep fried, and an upgrade in the preparation of the Ayam Pop (Popular Chicken) dish that will steam the skinless chicken more than cooking it through frying. 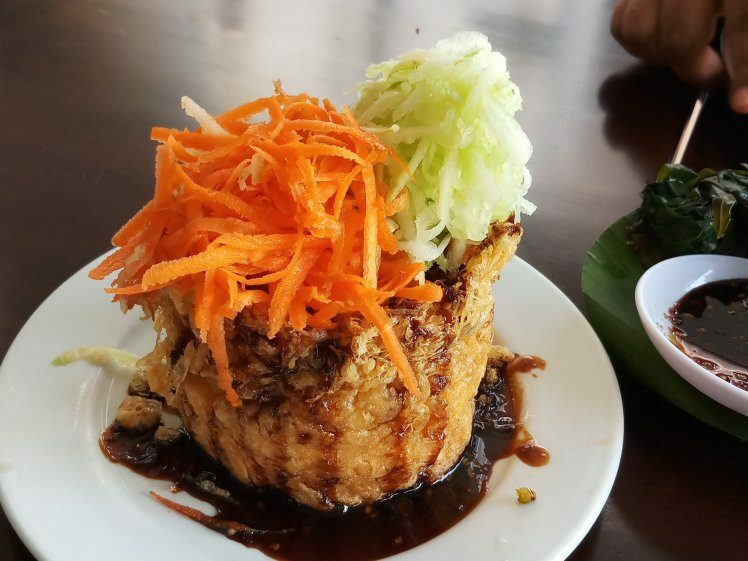 They are also set to feature another Indonesian favorite — Tahu Telor or Tofu Omelette, a serving of silky soft tofu encased in crispy flash-fried egg. 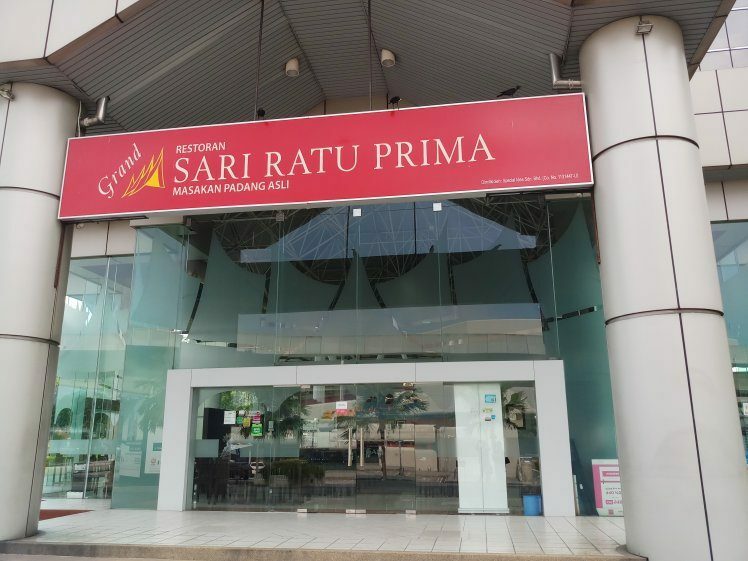 The Grand Sari Ratu Prima is located at No.2, East Wing Consplant 1, Jalan SS16/4, 47500, Subang Jaya, Selangor.